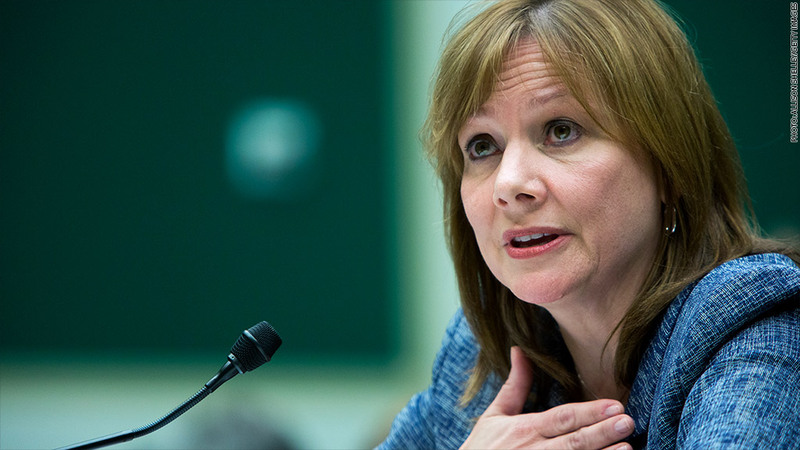 GM CEO Mary Barra will testify before a House panel on the company's massive recall. General Motors CEO Mary Barra is heading back to Capitol Hill, and this time she'll be joined by Anton Valukas, the former federal prosecutor who authored a scathing probe into the company's recall crisis. The two of them will testify before the House Energy and Commerce Committee on June 18. Barra testified before that committee on April 1, and followed that up with a day of testimony before the Senate Commerce, Science and Transportation Committee. That panel has yet to announce its own follow-up hearing. Valukas was hired by GM (GM) to conduct a probe into the ignition switch recall tied to at least 13 deaths. GM has admitted its employees knew of the problem with the ignition switch that caused cars to stall while being driven at least a decade before the recall earlier this year. Valukas' report, released Friday, found "a pattern of incompetence and neglect" throughout the company when it came to recalls, with "no demonstrated sense of urgency, right to the very end." On the basis of the report GM dismissed 15 employees and disciplined five others.